Hello November! I’m starting off the Christmas cookie season with these No-Bake Apricot Raisin Coconut Balls! In all seriousness, I have a lot of cookie recipes lined up for the next 7 weeks or so. Some are clean eating, but others are on the decadent side. I like having a variety of cookies on hand for quick desserts when guests drop by, or to give as hostess gifts or gifts to friends and neighbours. I mean, who doesn’t like receiving homemade Christmas cookies as a gift? 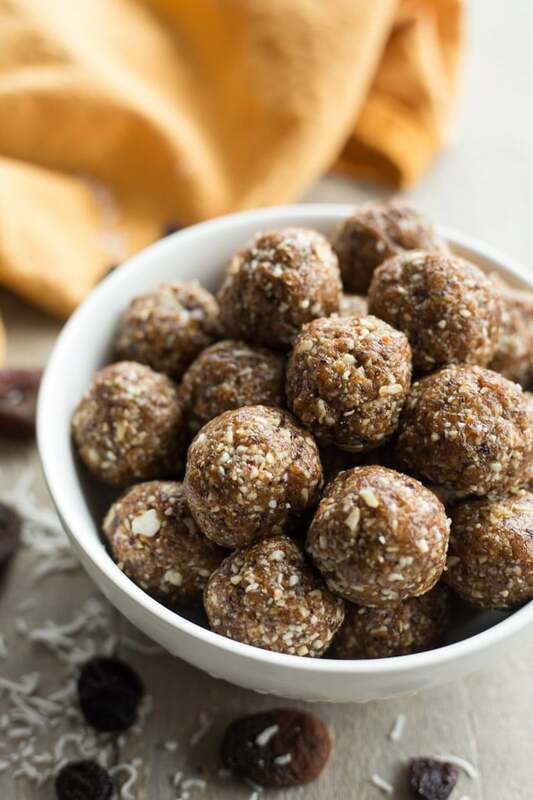 These No-Bake Apricot Raisin Coconut Balls are definitely on the clean eating side. I’ve had these in the works for a while, making my first batch in August, around the same time I first made these Apple Cinnamon Energy Balls. They both went over so well with my taste testers, I knew I had to share both recipes with you guys. So since I shared the recipe for the apple cinnamon balls in September, I thought now was a great time to share the recipe for these apricot raisin balls. They just totally remind me of Christmas. I’m not sure why, but I think it’s the apricots, raisins and almond flavour. The combination reminds me of the apricot cream cheese cake my mother makes ever year. Speaking of my mom, my love for Christmas baking definitely comes from her. Don’t get me wrong, my father is a great baker too. But my childhood Christmas memories are of my mom, busy in the kitchen, baking a 100 different types of cookies. That might be a bit of an exaggeration, but there was a serious variety of cookies in our house during the holidays! While I haven’t come close to that kind of cookie variety in my house yet, I’m guessing this year will be a little different. After all, I test recipes at least 2-3 times before posting, and I can only feed family and co-workers so many cookies in the run of a week! So there will be a stock pile of cookies in my freezer! Merry Christmas to my friends reading this. You are getting cookies for Christmas 😉 . 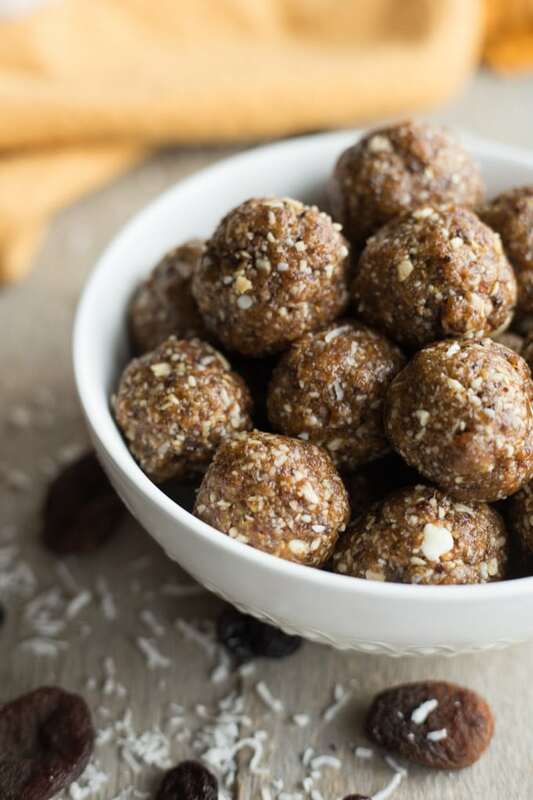 And these No-Bake Apricot Raisin Coconut Balls will probably be in the mix. These cookies are actually more like an energy bite than a cookie. They have cashews, almonds, flax, unsweetened coconut, honey, almond butter, rolled oats and almond extract. The extract really adds a nice flavour and, of course, the apricots and raisins add a sweet taste and chewy texture. What makes them a bit more like a cookie is the yogurt chips I added to the mix. Every clean eating cookie needs a decadent (yet optional) touch! Am I right?! Just whip these up in your food processor, roll into balls and place in the freezer. That’s 15 minutes and you’ve got your Christmas baking started. And it’s a healthier treat with lots of fibre. Bonus! My favourite way to enjoy these No-Bake Apricot Raisin Coconut Balls is right out of the freezer. I love the super chewy texture! But I also have a history of eating cookies right from the freezer. Like, really, who has time for treats to defrost? Have you started your Christmas baking yet? Or am I just way too eager?! 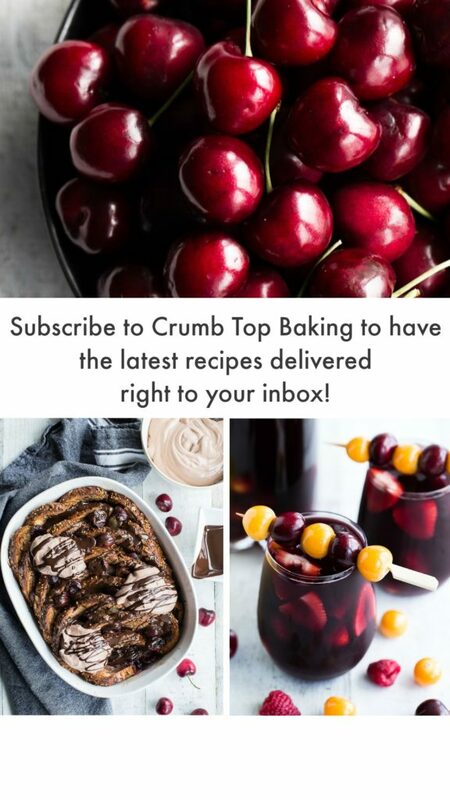 If you have, let me know what you’ve baked up in the comments below. And if you like this recipe, feel free to share on Facebook or Pinterest. 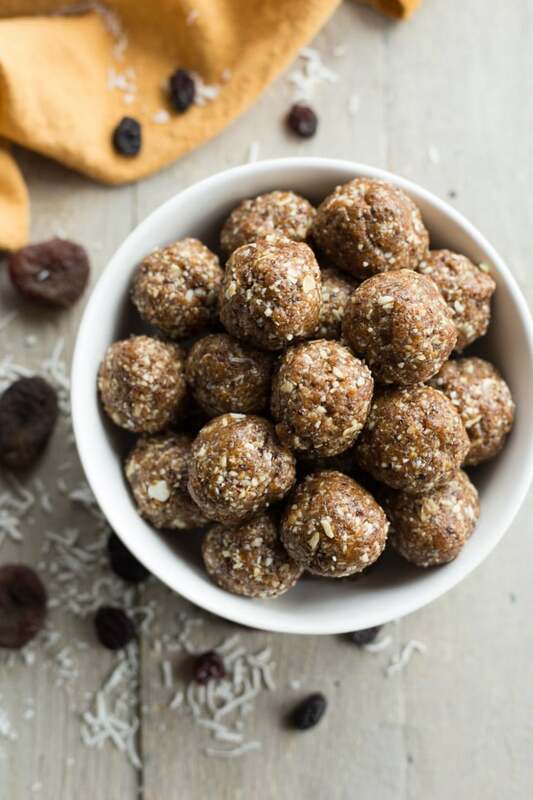 No-Bake Apricot Raisin Coconut Balls are sweetened with dried apricots, raisins and honey, and loaded with clean ingredients like almonds, cashews, almond butter, oats, flax and coconut! 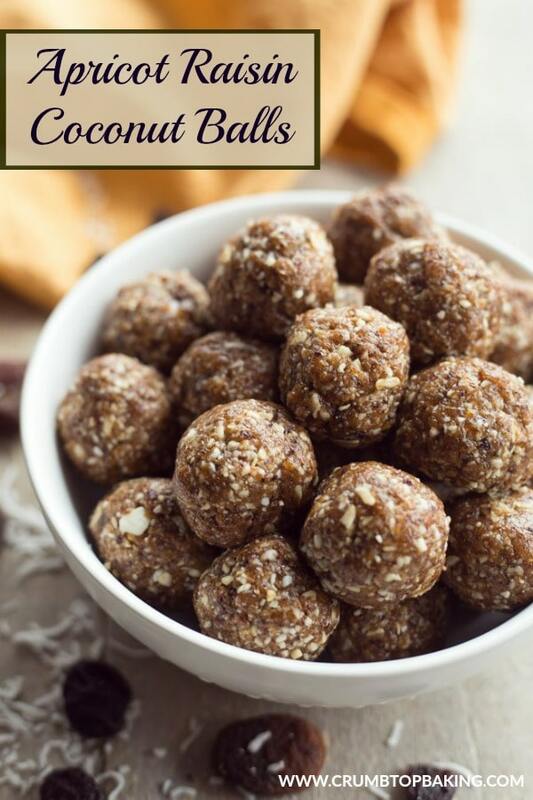 They only take 15 minutes, and make a great dessert or fibre-filled snack! 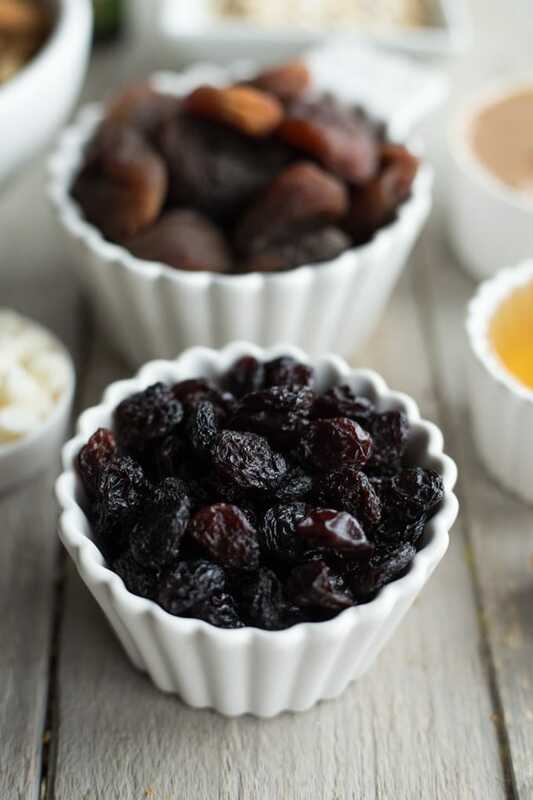 Using your food processor, add the apricots, raisins and almond extract, and process on high for 1-2 minutes, or until the fruit is finely chopped. Add the almonds and cashews and process on high for another 1-2 minutes. 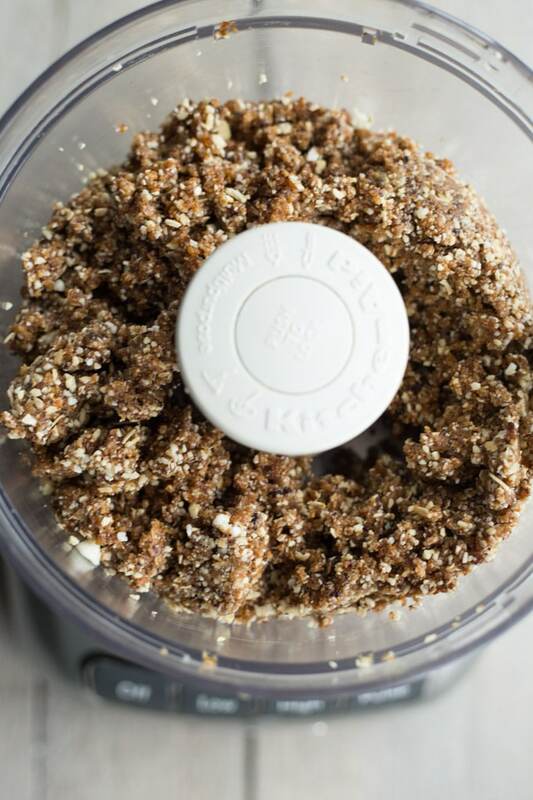 Then add the almond butter, honey, coconut and flax, and process for another 2-3 minutes on high until the ingredients have formed a crumbly, sticky mixture. (Don’t worry if there are still a few chunks in the mixture). You may also need to stop a few times to scrape down the sides. Add the yogurt chips and process for another 30-60 seconds. Lastly, add the oats and process for another 30-60 seconds. I used sun-dried, unsulfured, no sugar added apricots in this recipe. They have a darker color than apricots treated with sulphur dioxide but they seemed a little softer and less firm than treated apricots. I found this processed a little easier in the food processor. 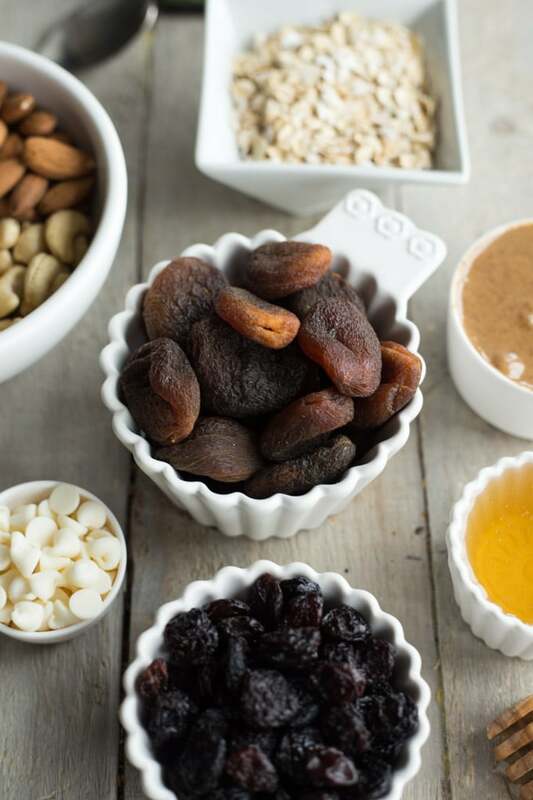 I like to use smooth almond butter (not crunchy) in my cookie and energy bite recipes as I find this helps the ingredients process a little easier. I have a 9-cup food processor that’s pretty powerful. If your food processor is smaller or less powerful, you could cut the recipe in half. Holiday baking has begun! I actually get a little stressed out thinking of how quickly the holidays are approaching and how much I have to do, buuuuuut it will get done! Love these healthier treats (and prefer them) over a traditional cookie…probably because I get to eat a little extra guilt free, lol. My mother in law loves cookies and cake straight from the freezer, on the cold side. Funny, huh? Cheers to a wonderful weekend! I definitely get a bit stressed out too. But you’re right, it always gets done! And I totally agree, one of the great things about healthier treats is that you can eat more than one and not feel guilty! Happy Saturday! I can’t believe how soon Christmas is going to be here!! Where did this year go!? I love how healthy these are!! 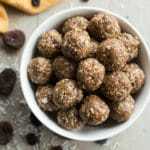 Balls and bites like these are the best because they’re like a treat for my kiddos but full of wonderful ingredients. Pinning! I know! I can’t believe this year went by so quickly! It seems like just yesterday we were putting away our Christmas decorations and soon we will be taking them all out again! And I didn’t even think about it, but these treats are perfect for kids. Bite-sized, healthy cookies! Win-win! Thanks for pinning Katherine! I start getting ready for Christmas baking before the end of August so we’re on the same page :). These sound delicious, Leanne! Hope you had a great weekend! Thanks Kelsie! I’m impressed that you start preparing for Christmas baking in August! I’m just turning my attention to all things pumpkin at that point;)! Have a great week!